We've had some tags. They were starting to pile up. 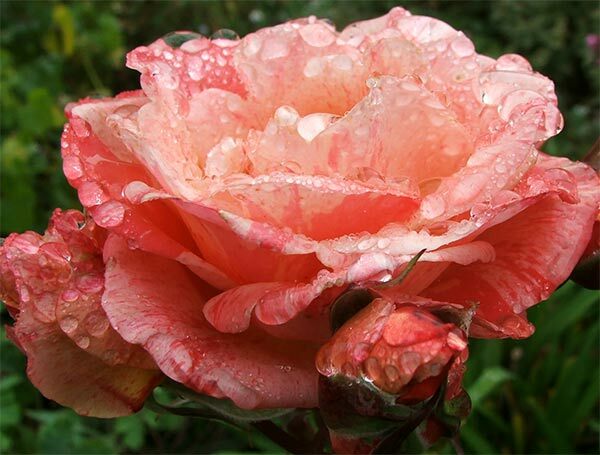 * please note the raindrops on this rose. "Think of and post a comprehensive list of who are some of the most real characters you’ve ever encountered and why." Okay that's all I have the stamina for. Anyone want to add to our (not comprehensive) list? Wodehouse makes me happy, too. As does good ice cream. And I agree: the Cassons are realistic fiction at its most real. How about adding Anne (of Green Gables) to the list? Or the March girls? excellent suggestions melissa! Also I realized later that if someone sent me a great Wodehouse book in the mail, and I read it after kisses from my boys and with a bowl of good ice cream, I could do all the things in my happy list at once! The characters of "The Guernsey Literary and Potato ..." book. All of 'em. And Severus Snape from "Harry Potter." That's all that comes to mind at the moment. Oooh yes, Severus definitely. And I didn't even think of touching the old classics! The March sister, I completely agree with. Thank you so much for responding to this Alysa. Excellent, excellent. I meant to put the cast of TGLAPPPS, Ashley, thanks for reminding me.